Will it be Time Out for London's Listings Magazine ? "What's on in London" is the original London listings magazine with a 50 year pedigree and it is currently looking for a buyer. Amco Agency Ltd has been retained to arrange a sale at the earliest opportunity. 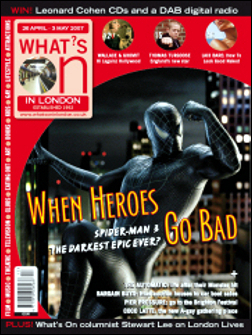 Venerable Listings Magazine "What's on in London" was looking for a new owner this week. The "What's on in London" brand started out in the 50's as "Where to Go in London". Under the control of its founder G.D. Shaw the magazine was consistently profitable and became a very strong title on the newsstands. Following G.D. Shaw's death in1979 the magazine appears to have suffered from a lack of attention and investment. When Mrs Shaw died in 1999 the magazine was then run by a non executive director for years. Latterly ownership was transferred to Remnant Media who recently disposed of a number of titles before slipping into Liquidation this year. Current owners Strand Magazines Ltd is now the caretaker of one of the most recognisable publishing brands in the South East. Strand's Management commented, "Our core business is not publishing. "What's on in London" needs lots of management time and further investment to take it forward. We are unable to provide these facilities so we have decided to sell the business". Strand Magazines have instructed Michael Charles of Amco Agency to quickly find a buyer for the brand. Michael can be contacted by phone 08452 300700. A spokesman for Amco Agency said "Early indications are that potential buyers understand the "What's on in London" brand to be a significant foundation for expansion. Product branding as strong as this very rarely becomes available and we are confident that a quick sale will take place"